A part of the map isn't loaded at Fachmanplatz, I can't find the reason in my logfile. Can anyone help me? 66 12:35:26 - - Error: In "Fonts\Buse_15x6.oft" there was an error in line 85! 78 12:35:30 - - Warning: Line "maps\Städtedreieck_V3\TTData\Montag-Freitag.ttl", tour 10211: Entry 2 begins before previous entry ends! 79 12:35:30 - - Warning: Line "maps\Städtedreieck_V3\TTData\Montag-Freitag.ttl", tour 10305: Entry 46 begins before previous entry ends! 82 12:35:30 - - Warning: Cloudtype "-1" could not be found! 85 12:35:30 - - Information: maps\Städtedreieck_V3\global.cfg map loaded! 86 12:35:31 - - Warning: Scenery Object not found:Sceneryobjects\BusdriversObjekte\HinweisglrNarrow.sco, if you are loading an addon map, please read the documentation and contact the map's author. If you are loading an original map (Spandau or Grundorf), please repair OMSI with the original setup. 87 12:35:31 - - Error: The file "Sceneryobjects\BusdriversObjekte\HinweisglrNarrow.sco" could not be loaded! 88 12:35:31 - - Warning: Invalid Object: Sceneryobjects\BusdriversObjekte\HinweisglrNarrow.sco"
90 12:35:32 - - Error: Could not load object Sceneryobjects\BusdriversObjekte\HinweisglrNarrow.sco! 91 12:35:32 - - Warning: Scenery Object not found:Sceneryobjects\BusdriversObjekte\HinweisglNarrow.sco, if you are loading an addon map, please read the documentation and contact the map's author. If you are loading an original map (Spandau or Grundorf), please repair OMSI with the original setup. 92 12:35:32 - - Error: The file "Sceneryobjects\BusdriversObjekte\HinweisglNarrow.sco" could not be loaded! 93 12:35:32 - - Warning: Invalid Object: Sceneryobjects\BusdriversObjekte\HinweisglNarrow.sco"
95 12:35:32 - - Error: Could not load object Sceneryobjects\BusdriversObjekte\HinweisglNarrow.sco! 96 12:35:33 - - Warning: Did not find texture file "grab.jpg"! 99 12:35:34 - - Warning: File Sceneryobjects\Objects_SN\Zaun_Tor_6m_02.sco: texture filename tex_a.bmp not found in mesh file Sceneryobjects\Objects_SN\model\Tor_6m_02.o3d! 100 12:35:34 - - Warning: Scenery Object not found:Sceneryobjects\BusdriversObjekte\HinweisglNarrow.sco, if you are loading an addon map, please read the documentation and contact the map's author. If you are loading an original map (Spandau or Grundorf), please repair OMSI with the original setup. 101 12:35:34 - - Error: In map file "maps\Städtedreieck_V3\tile_24_-3.map" there was an error in line 12532! 102 12:35:34 - - Warning: Did not find texture file "dummy_text.bmp"! 109 12:35:43 - - Warning: Did not find texture file "Drucker-Textfeld.tga"! 111 12:35:46 - - Warning: Cloudtype "-1" could not be found! 121 12:35:49 - - Warning: Direct3D-Device lost! 122 12:35:49 - - Information: Direct3D-Device resetted! 129 12:35:54 - - Warning: File vehicles\MB_O530_Facelift\model\model_O530G_FL_3doors_Main.cfg: texture filename vmatrix_leer_led.png not found in mesh file vehicles\MB_O530_Facelift\model\18m_main\vollmatrix_text_K++.o3d! 130 12:35:54 - - Warning: File vehicles\MB_O530_Facelift\model\model_O530G_FL_3doors_Main.cfg: texture filename vmatrix_voll_led_h120s1.dds not found in mesh file vehicles\MB_O530_Facelift\model\18m_main\vollmatrix_text_K++.o3d! 131 12:35:54 - - Warning: File vehicles\MB_O530_Facelift\model\model_O530G_FL_3doors_Main.cfg: texture filename vmatrix_voll_led_h210s1.dds not found in mesh file vehicles\MB_O530_Facelift\model\18m_main\vollmatrix_text_K++.o3d! 132 12:35:54 - - Warning: File vehicles\MB_O530_Facelift\model\model_O530G_FL_3doors_Main.cfg: texture filename vmatrix_voll_led_h300s1.dds not found in mesh file vehicles\MB_O530_Facelift\model\18m_main\vollmatrix_text_K++.o3d! 133 12:35:54 - - Warning: File vehicles\MB_O530_Facelift\model\model_O530G_FL_3doors_Main.cfg: texture filename vmatrix_voll_led_h000s0.dds not found in mesh file vehicles\MB_O530_Facelift\model\18m_main\vollmatrix_text_K++.o3d! 134 12:35:55 - - Warning: Did not find texture file "Drucker-Textfeld.tga"! 135 12:35:58 - - Warning: File vehicles\MB_O530_Facelift\model\model_O530G_FL_3doors_Trail.cfg: texture filename vmatrix_leer_led.png not found in mesh file vehicles\MB_O530_Facelift\model\18m_trail\vollmatrix_text_K++.o3d! 136 12:35:58 - - Warning: File vehicles\MB_O530_Facelift\model\model_O530G_FL_3doors_Trail.cfg: texture filename vmatrix_voll_led_h120s1.dds not found in mesh file vehicles\MB_O530_Facelift\model\18m_trail\vollmatrix_text_K++.o3d! 137 12:35:58 - - Warning: File vehicles\MB_O530_Facelift\model\model_O530G_FL_3doors_Trail.cfg: texture filename vmatrix_voll_led_h210s1.dds not found in mesh file vehicles\MB_O530_Facelift\model\18m_trail\vollmatrix_text_K++.o3d! 138 12:35:58 - - Warning: File vehicles\MB_O530_Facelift\model\model_O530G_FL_3doors_Trail.cfg: texture filename vmatrix_voll_led_h300s1.dds not found in mesh file vehicles\MB_O530_Facelift\model\18m_trail\vollmatrix_text_K++.o3d! 139 12:35:58 - - Warning: File vehicles\MB_O530_Facelift\model\model_O530G_FL_3doors_Trail.cfg: texture filename vmatrix_voll_led_h000s0.dds not found in mesh file vehicles\MB_O530_Facelift\model\18m_trail\vollmatrix_text_K++.o3d! 141 12:36:06 - - Warning: Did not find texture file "Drucker-Textfeld.tga"! 143 12:36:08 - - Warning: Soundfile vehicles\MB_O530_Facelift\sound-citaro\SD_lautsprech_rausch.wav does not exist! 144 12:36:09 - - Warning: Soundfile vehicles\MB_O530_Facelift\sound-citaro\SD_lautsprech_Motor@592.wav does not exist! 147 12:36:10 - - Warning: Did not find texture file "Kennz.bmp"! 150 12:36:10 - - Warning: Did not find texture file "Kennz.bmp"! 165 12:36:11 - - Warning: Did not find texture file "..\..\Anzeigen\Krueger\230x32\palettes\Städtedreieck V3.bmp"! 166 12:36:11 - - Warning: Soundfile vehicles\MB_O530_Facelift\sound-citaro\SD_lautsprech_rausch.wav does not exist! 167 12:36:11 - - Warning: Soundfile vehicles\MB_O530_Facelift\sound-citaro\SD_lautsprech_Motor@592.wav does not exist! 168 12:36:11 - - Warning: Soundfile vehicles\MB_O530_Facelift\sound-citaro\D_wischerhebel.wav does not exist! 169 12:36:12 - - Warning: Soundfile vehicles\MB_O530_Facelift\sound-citaro\SD_lautsprech_rausch.wav does not exist! 170 12:36:12 - - Warning: Soundfile vehicles\MB_O530_Facelift\sound-citaro\SD_lautsprech_Motor@592.wav does not exist! 171 12:36:14 - - Warning: Soundfile vehicles\MB_O530_Facelift\sound-citaro\D_wischerhebel.wav does not exist! 172 12:36:14 - - Warning: Did not find texture file "..\..\Anzeigen\Krueger\230x32\palettes\Städtedreieck V3.bmp"! 174 12:36:19 - - Warning: Did not find texture file "Drucker-Textfeld.tga"! 175 12:36:19 - - Warning: Did not find texture file "IBIS2-Textfeld.tga"! 176 12:36:19 - - Warning: Did not find texture file "IBIS2-Delay_min.tga"! 177 12:36:19 - - Warning: Did not find texture file "IBIS2-Delay_sec.tga"! 178 12:36:19 - - Warning: Did not find texture file "IBIS2-Delay_state.tga"! 179 12:36:19 - - Warning: Did not find texture file "temp.bmp"! 180 12:36:20 - - Warning: Did not find texture file "D_wagennummer.tga"! 181 12:36:20 - - Warning: Did not find texture file "temp.bmp"! 182 12:36:20 - - Warning: Did not find texture file "LCD-Innenanzeige.bmp"! 183 12:36:20 - - Warning: Did not find texture file "D_kennzeichen.tga"! 184 12:36:20 - - Warning: Did not find texture file "D_wagennummer.tga"! 185 12:36:20 - - Warning: File vehicles\MAN_NL_NG\model\model_GN92_main.cfg: texture filename dreck.tga not found in mesh file vehicles\MAN_NL_NG\model\GN92\GN92_main_wagenkasten_dreck.o3d! 186 12:36:21 - - Warning: File vehicles\MAN_NL_NG\model\model_GN92_main.cfg: texture filename dreck.tga not found in mesh file vehicles\MAN_NL_NG\model\GN92\GN92_articul_bellows_dirt.o3d! 187 12:36:21 - - Warning: File vehicles\MAN_NL_NG\model\model_GN92_main.cfg: texture filename regen.tga not found in mesh file vehicles\MAN_NL_NG\model\GN92\LOD_GN92_main_tuer_MV.o3d! 188 12:36:21 - - Warning: File vehicles\MAN_NL_NG\model\model_GN92_main.cfg: texture filename regen.tga not found in mesh file vehicles\MAN_NL_NG\model\GN92\LOD_GN92_main_tuer_MH.o3d! 189 12:36:21 - - Warning: Did not find texture file "D_Rad_v.bmp"! 190 12:36:26 - - Warning: Did not find texture file "LCD-Innenanzeige.bmp"! 191 12:36:26 - - Warning: Did not find texture file "D_wagennummer.tga"! 192 12:36:26 - - Warning: Did not find texture file "D_kennzeichen.tga"! 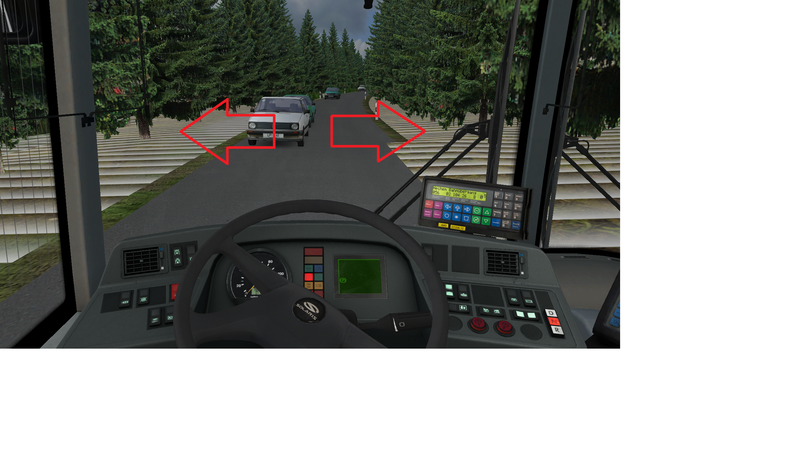 193 12:36:26 - - Warning: File vehicles\MAN_NL_NG\model\model_GN92_trail.cfg: texture filename dreck.tga not found in mesh file vehicles\MAN_NL_NG\model\GN92\GN92_trail_wagenkasten_dreck.o3d! 194 12:36:31 - - Warning: Did not find texture file "Kennz.bmp"! 199 12:36:47 - - Information: Actual map closed! You are missing an object from the Hinweisschilder addon by Busdriver. Hallo hab da ein kachelproblem auf der linie 27 nach der Haltestelle "Auf dem Hang" geht es nicht weiter. Maptools sagt ich hätte alles hmm vielleicht kann mir ja jemand helfen. 40 02:26:24 - - Warning: Did not find texture file "30er_reihensiedlung01.bmp"! 41 02:26:24 - - Warning: Did not find texture file "SD_Rad_v.bmp"! 42 02:26:24 - - Warning: Did not find texture file "reifen.bmp"! 67 02:26:30 - - Warning: Did not find texture file "path_car_1.bmp"! 70 02:26:48 - - Warning: Did not find texture file "texture.tga"! 71 02:26:48 - - Warning: Did not find texture file "Snow_1.bmp.001"! 90 02:26:58 - - Warning: Line "maps\Städtedreieck_V3\TTData\Montag-Freitag.ttl", tour 10211: Entry 2 begins before previous entry ends! 91 02:26:58 - - Warning: Line "maps\Städtedreieck_V3\TTData\Montag-Freitag.ttl", tour 10305: Entry 46 begins before previous entry ends! 94 02:26:58 - - Warning: Cloudtype "-1" could not be found! 97 02:26:58 - - Information: maps\Städtedreieck_V3\global.cfg map loaded! 98 02:26:59 - - Warning: Did not find texture file "text.bmp"! 99 02:26:59 - - Warning: Did not find texture file "text.bmp"! 100 02:26:59 - - Warning: Did not find texture file "text.bmp"! 101 02:26:59 - - Warning: Did not find texture file "text.bmp"! 102 02:26:59 - - Warning: Did not find texture file "StrSchild_Text1.bmp"! 103 02:26:59 - - Warning: Did not find texture file "StrSchild_Text1.bmp"! 104 02:26:59 - - Warning: File Sceneryobjects\Objects_RS\Zaun_Tor_6m_02.sco: texture filename tex_a.bmp not found in mesh file Sceneryobjects\Objects_RS\model\Tor_6m_02.o3d! 105 02:26:59 - - Warning: Did not find texture file "str_asphdrk_mark2_alp"! 107 02:27:00 - - Warning: File Vehicles\TA_VW_Scirocco3\model\model_parked.cfg: texture filename Kennz.bmp not found in mesh file Vehicles\TA_VW_Scirocco3\model\kfznhalterung.o3d! 108 02:27:00 - - Warning: File Vehicles\TA_VW_Golf1_GTI\model\model_parked.cfg: texture filename Kennz.bmp not found in mesh file Vehicles\TA_VW_Golf1_GTI\model\kfznhalterung.o3d! 110 02:27:01 - - Warning: File Vehicles\TA_VW_Golf4_R32\model\model_parked.cfg: texture filename Kennz.bmp not found in mesh file Vehicles\TA_VW_Golf4_R32\model\kfznhalterung.o3d! 111 02:27:03 - - Warning: File vehicles\TA_Alfa_Romeo_155\model\model_parked.cfg: texture filename Kennz.bmp not found in mesh file vehicles\TA_Alfa_Romeo_155\model\kfznhalterung.o3d! 112 02:27:03 - - Warning: File Vehicles\TA_Ford_Focus\model\model_parked.cfg: texture filename Kennz.bmp not found in mesh file Vehicles\TA_Ford_Focus\model\kfznhalterung.o3d! 113 02:27:04 - - Warning: File Vehicles\TA_Audi_Quattro\model\model_parked.cfg: texture filename Kennz.bmp not found in mesh file Vehicles\TA_Audi_Quattro\model\kfznhalterung.o3d! 114 02:27:04 - - Warning: File Vehicles\TA_BMW_X5\model\model_parked.cfg: texture filename color.dds not found in mesh file Vehicles\TA_BMW_X5\model\body.o3d! 115 02:27:04 - - Warning: File Vehicles\TA_BMW_X5\model\model_parked.cfg: texture filename Kennz.bmp not found in mesh file Vehicles\TA_BMW_X5\model\kfznhalterung.o3d! 116 02:27:05 - - Warning: File Vehicles\TA_VW_LT35\model\model_parked.cfg: texture filename Kennz.bmp not found in mesh file Vehicles\TA_VW_LT35\model\kfznhalterung.o3d! 117 02:27:05 - - Warning: Did not find texture file "str_asphdrk_mark2_alp"! 118 02:27:06 - - Warning: Did not find texture file "dummy_text.bmp"! 119 02:27:06 - - Warning: Did not find texture file "Digitaluhr.bmp"! 120 02:27:06 - - Warning: Did not find texture file "Digitaluhr.bmp"! 122 02:27:07 - - Warning: Did not find texture file "dummy_text.bmp"! 124 02:27:08 - - Warning: Did not find texture file "dummy_text.bmp"! 136 02:27:14 - - Warning: File humans\AddOn_DLP-Vol-3_KI-Menschen\Frau_1\model\Frau_1.cfg: texture filename CGirl0001-M3-Hair-D.tga not found in mesh file humans\AddOn_DLP-Vol-3_KI-Menschen\Frau_1\model\Frau_1.o3d! 142 02:27:20 - - Warning: Direct3D-Device lost! 143 02:27:20 - - Information: Direct3D-Device resetted! 150 02:27:23 - - Warning: Did not find texture file "textfeld_thermo.tga"! 151 02:27:23 - - Warning: Did not find texture file "Drucker-Textfeld.tga"! 152 02:27:23 - - Warning: Did not find texture file "IBIS2-Textfeld.tga"! 153 02:27:23 - - Warning: Did not find texture file "IBIS2-Delay_min.tga"! 154 02:27:23 - - Warning: Did not find texture file "IBIS2-Delay_sec.tga"! 155 02:27:23 - - Warning: Did not find texture file "IBIS2-Delay_state.tga"! 156 02:27:24 - - Warning: Did not find texture file "temp.bmp"! 157 02:27:24 - - Warning: Did not find texture file "D_wagennummer.tga"! 158 02:27:24 - - Warning: Did not find texture file "temp.bmp"! 159 02:27:24 - - Warning: Did not find texture file "LCD-Innenanzeige.bmp"! 160 02:27:24 - - Warning: Did not find texture file "D_kennzeichen.tga"! 161 02:27:24 - - Warning: Did not find texture file "D_wagennummer.tga"! 162 02:27:24 - - Warning: File vehicles\MAN_NL_NG\model\model_GN92_main.cfg: texture filename dreck.tga not found in mesh file vehicles\MAN_NL_NG\model\GN92\GN92_main_wagenkasten_dreck.o3d! 163 02:27:25 - - Warning: File vehicles\MAN_NL_NG\model\model_GN92_main.cfg: texture filename dreck.tga not found in mesh file vehicles\MAN_NL_NG\model\GN92\GN92_articul_bellows_dirt.o3d! 164 02:27:25 - - Warning: File vehicles\MAN_NL_NG\model\model_GN92_main.cfg: texture filename regen.tga not found in mesh file vehicles\MAN_NL_NG\model\GN92\LOD_GN92_main_tuer_MV.o3d! 165 02:27:25 - - Warning: File vehicles\MAN_NL_NG\model\model_GN92_main.cfg: texture filename regen.tga not found in mesh file vehicles\MAN_NL_NG\model\GN92\LOD_GN92_main_tuer_MH.o3d! 166 02:27:25 - - Warning: Did not find texture file "D_Rad_v.bmp"! 167 02:27:36 - - Warning: Did not find texture file "LCD-Innenanzeige.bmp"! 168 02:27:36 - - Warning: Did not find texture file "D_wagennummer.tga"! 169 02:27:36 - - Warning: Did not find texture file "D_kennzeichen.tga"! 170 02:27:36 - - Warning: File vehicles\MAN_NL_NG\model\model_GN92_trail.cfg: texture filename dreck.tga not found in mesh file vehicles\MAN_NL_NG\model\GN92\GN92_trail_wagenkasten_dreck.o3d! 172 02:27:49 - - Warning: Did not find texture file "textfeld_thermo.tga"! 173 02:27:49 - - Warning: Did not find texture file "Drucker-Textfeld.tga"! 174 02:27:49 - - Warning: Did not find texture file "IBIS2-Textfeld.tga"! 175 02:27:49 - - Warning: Did not find texture file "IBIS2-Delay_min.tga"! 176 02:27:49 - - Warning: Did not find texture file "IBIS2-Delay_sec.tga"! 177 02:27:49 - - Warning: Did not find texture file "IBIS2-Delay_state.tga"! 178 02:27:49 - - Warning: Did not find texture file "temp.bmp"! 179 02:27:49 - - Warning: Did not find texture file "LCD-Innenanzeige.bmp"! 180 02:27:50 - - Warning: Did not find texture file "temp.bmp"! 181 02:27:50 - - Warning: Did not find texture file "D_wagennummer.tga"! 182 02:27:50 - - Warning: Did not find texture file "temp.bmp"! 183 02:27:50 - - Warning: Did not find texture file "D_kennzeichen.tga"! 184 02:27:50 - - Warning: Did not find texture file "D_wagennummer.tga"! 185 02:27:51 - - Warning: File vehicles\MAN_NL_NG\model\model_EN92.cfg: texture filename dreck.tga not found in mesh file vehicles\MAN_NL_NG\model\EN92\EN92_wagenkasten_dreck.o3d! 186 02:27:51 - - Warning: File vehicles\MAN_NL_NG\model\model_EN92.cfg: texture filename regen.tga not found in mesh file vehicles\MAN_NL_NG\model\EN92\LOD_EN92_tuer_MV.o3d! 187 02:27:51 - - Warning: File vehicles\MAN_NL_NG\model\model_EN92.cfg: texture filename regen.tga not found in mesh file vehicles\MAN_NL_NG\model\EN92\LOD_EN92_tuer_MH.o3d! 188 02:27:51 - - Warning: Did not find texture file "D_Rad_v.bmp"! 192 02:28:02 - - Warning: Did not find texture file "Kennz.bmp"! 193 02:28:03 - - Warning: Did not find texture file "Kennz.bmp"! 194 02:28:04 - - Warning: Did not find texture file "Kennz.bmp"! 195 02:28:04 - - Warning: Did not find texture file "..\..\Anzeigen\Seitenschilder\Seitenschild-Unterordner\.bmp"! 196 02:28:04 - - Warning: Did not find texture file "Linienlisten\Städtedreieck V3_ANX.jpg"! 197 02:28:04 - - Warning: Did not find texture file "..\..\Anzeigen\Seitenschilder\Seitenschild-Unterordner\.bmp"! 198 02:28:04 - - Warning: Did not find texture file "Linienlisten\Städtedreieck V3_ANX.jpg"! 199 02:28:04 - - Warning: Did not find texture file "..\..\Anzeigen\Seitenschilder\Seitenschild-Unterordner\.bmp"! 200 02:28:04 - - Warning: Did not find texture file "Linienlisten\Städtedreieck V3_ANX.jpg"! 205 02:28:32 - - Warning: File vehicles\Halycon_AI_Pack_2\model\model_Bagger2.cfg: texture filename digger_main_2.png not found in mesh file vehicles\Halycon_AI_Pack_2\model\Bagger_2\bagger_main.o3d! 210 02:28:38 - - Warning: Did not find texture file "..\..\Anzeigen\Seitenschilder\Seitenschild-Unterordner\27.bmp"! 211 02:28:38 - - Warning: Did not find texture file "Linienlisten\Städtedreieck V3_ANX.jpg"! 212 02:28:38 - - Warning: Did not find texture file "..\..\Anzeigen\Seitenschilder\Seitenschild-Unterordner\.bmp"! 213 02:28:38 - - Warning: Did not find texture file "Linienlisten\Städtedreieck V3_ANX.jpg"! 214 02:28:38 - - Warning: Did not find texture file "..\..\Anzeigen\Seitenschilder\Seitenschild-Unterordner\.bmp"! 215 02:28:38 - - Warning: Did not find texture file "Linienlisten\Städtedreieck V3_ANX.jpg"! 220 02:28:38 - - Warning: Did not find texture file "..\..\Anzeigen\Seitenschilder\Seitenschild-Unterordner\43.bmp"! 221 02:28:38 - - Warning: Did not find texture file "Linienlisten\Städtedreieck V3_ANX.jpg"! 227 02:28:40 - - Warning: Did not find texture file "Gelenk.jpg"! 228 02:28:40 - - Warning: Did not find texture file "Gelenk.jpg"! 229 02:28:40 - - Warning: Did not find texture file "Gelenk.jpg"! 230 02:28:40 - - Warning: Did not find texture file "Gelenk.jpg"! 231 02:28:41 - - Warning: Did not find texture file "IBIS2-Textfeld.tga"! 232 02:28:41 - - Warning: Did not find texture file "IBIS2-Textfeld.tga"! 233 02:28:43 - - Warning: Did not find texture file "7.jpg"! 234 02:28:43 - - Warning: Did not find texture file "txt.dds"! 235 02:28:43 - - Warning: Did not find texture file "txt.dds"! 236 02:28:43 - - Warning: Did not find texture file "txt.dds"! 237 02:28:43 - - Warning: Did not find texture file "7.jpg"! 238 02:28:45 - - Warning: Did not find texture file "BMN_VDV_Font_alpha.bmp"! 239 02:28:45 - - Warning: Did not find texture file "BMN_VDV_Font_alpha.bmp"! 240 02:28:45 - - Warning: Did not find texture file "BMN_VDV_Font_alpha.bmp"! 241 02:28:45 - - Warning: Did not find texture file "BMN_VDV_Font_alpha.bmp"! 242 02:28:45 - - Warning: Did not find texture file "BMN_VDV_Font_alpha.bmp"! 243 02:28:45 - - Warning: Did not find texture file "BMN_VDV_Font_alpha.bmp"! 244 02:28:45 - - Warning: Did not find texture file "BMN_VDV_Font_alpha.bmp"! 245 02:28:45 - - Warning: Did not find texture file "IBIS2-Textfeld.tga"! 246 02:28:47 - - Warning: Did not find texture file "txt.dds"! 247 02:28:47 - - Warning: Did not find texture file "txt.dds"! 248 02:28:47 - - Warning: Did not find texture file "txt.dds"! 249 02:28:47 - - Warning: Did not find texture file "txt.dds"! 250 02:28:47 - - Warning: Did not find texture file "txt.dds"! 251 02:28:47 - - Warning: Did not find texture file "txt.dds"! 252 02:28:47 - - Warning: Did not find texture file "txt.dds"! 253 02:28:47 - - Warning: Did not find texture file "txt.dds"! 254 02:28:47 - - Warning: Did not find texture file "txt.dds"! 255 02:28:47 - - Warning: Did not find texture file "txt.dds"! 256 02:28:47 - - Warning: Did not find texture file "txt.dds"! 257 02:28:47 - - Warning: Did not find texture file "txt.dds"! 258 02:28:47 - - Warning: Did not find texture file "txt.dds"! 259 02:28:47 - - Warning: Did not find texture file "txt.dds"! 260 02:28:47 - - Warning: Did not find texture file "txt.dds"! 261 02:28:47 - - Warning: Did not find texture file "Fenster_int.dds"! 262 02:28:47 - - Warning: Did not find texture file "txt.dds"! 263 02:28:47 - - Warning: File vehicles\RUHR_Solaris\model\Gelenk_V.cfg: texture filename Haupttextur_NG_V_dreck.dds not found in mesh file vehicles\RUHR_Solaris\model\Gelenk\UrbinoIV_Fenster_int_V.o3d! 264 02:28:48 - - Warning: File vehicles\RUHR_Solaris\model\Gelenk_V.cfg: texture filename Haupttextur_NG_V_dreck.dds not found in mesh file vehicles\RUHR_Solaris\model\Gelenk\UrbinoIV_Fenster_ext_V.o3d! 265 02:28:50 - - Warning: Did not find texture file "IBIS2-Textfeld.tga"! 266 02:28:50 - - Warning: Did not find texture file "IBIS2-Textfeld.tga"! 267 02:28:50 - - Warning: Did not find texture file "7.jpg"! 268 02:28:50 - - Warning: Did not find texture file "txt.dds"! 269 02:28:50 - - Warning: Did not find texture file "txt.dds"! 270 02:28:50 - - Warning: Did not find texture file "txt.dds"! 271 02:28:50 - - Warning: Did not find texture file "7.jpg"! 272 02:29:04 - - Warning: Did not find texture file "Linienliste_ANX.bmp"! 273 02:29:04 - - Warning: Did not find texture file "Linienliste_ANX.bmp"! 274 02:29:05 - - Warning: Did not find texture file "IBIS2-Textfeld.tga"! 275 02:29:05 - - Warning: Did not find texture file "IBIS2-Delay_min.tga"! 276 02:29:05 - - Warning: Did not find texture file "IBIS2-Delay_sec.tga"! 277 02:29:05 - - Warning: Did not find texture file "IBIS2-Delay_state.tga"! 278 02:29:05 - - Warning: Did not find texture file "textfeld_clock.tga"! 279 02:29:05 - - Warning: Did not find texture file "textfeld_thermo-aus.tga"! 280 02:29:05 - - Warning: Did not find texture file "textfeld_thermo.tga"! 281 02:29:05 - - Warning: File vehicles\MB_O520\model\model_O520.cfg: texture filename display1b.jpg not found in mesh file vehicles\MB_O520\model\O520\VDO Displays\Thermometer-drive.o3d! 282 02:29:05 - - Warning: Did not find texture file "Drucker-Textfeld.tga"! 283 02:29:06 - - Warning: Did not find texture file "D_wagennummer.bmp"! 284 02:29:06 - - Warning: Did not find texture file "D_wagennummer.bmp"! 285 02:29:08 - - Warning: Did not find texture file "D_kennzeichen.bmp"! 286 02:29:08 - - Warning: Did not find texture file "D_wagennummer.bmp"! 287 02:29:08 - - Warning: Did not find texture file "LCD-Innenanzeige.bmp"! 288 02:29:08 - - Warning: Did not find texture file "textfeld_thermo-aus.tga"! 289 02:29:08 - - Warning: Did not find texture file "textfeld_thermo.tga"! 291 02:31:23 - - Warning: Did not find texture file "Linienlisten\Städtedreieck V3_ANX.jpg"! 293 02:31:34 - - Warning: Did not find texture file "Kennz.bmp"! 294 02:31:35 - - Warning: Did not find texture file "Kennz.bmp"! 296 02:33:32 - - Warning: Soundfile vehicles\MB_O530_Facelift\sound-citaro\Matrix_Ziel.wav does not exist! 299 02:34:50 - - Warning: Did not find texture file "Linienlisten\Städtedreieck V3_ANX.jpg"! 300 02:34:59 - - Warning: Did not find texture file "..\..\Anzeigen\Seitenschilder\Seitenschild-Unterordner\.bmp"! 308 02:35:22 - - Warning: Did not find texture file "..\..\Anzeigen\Seitenschilder\Seitenschild-Unterordner\.bmp"! 309 02:35:22 - - Warning: Did not find texture file "Linienlisten\Städtedreieck V3_ANX.jpg"! 310 02:35:22 - - Warning: Did not find texture file "..\..\Anzeigen\Seitenschilder\Seitenschild-Unterordner\.bmp"! 311 02:35:22 - - Warning: Did not find texture file "Linienlisten\Städtedreieck V3_ANX.jpg"! 317 02:35:42 - - Warning: Did not find texture file "..\..\Anzeigen\Seitenschilder\Seitenschild-Unterordner\.bmp"! 318 02:35:42 - - Warning: Did not find texture file "Linienlisten\Städtedreieck V3_ANX.jpg"! 319 02:35:42 - - Warning: Did not find texture file "..\..\Anzeigen\Seitenschilder\Seitenschild-Unterordner\.bmp"! 320 02:35:42 - - Warning: Did not find texture file "Linienlisten\Städtedreieck V3_ANX.jpg"! 322 02:37:37 - - Warning: Did not find texture file "..\..\Anzeigen\Seitenschilder\Seitenschild-Unterordner\41.bmp"! 323 02:37:37 - - Warning: Did not find texture file "Linienlisten\Städtedreieck V3_ANX.jpg"! 327 02:38:42 - - Warning: Did not find texture file "..\..\Anzeigen\Seitenschilder\Seitenschild-Unterordner\27.bmp"! 328 02:38:42 - - Warning: Did not find texture file "Linienlisten\Städtedreieck V3_ANX.jpg"! 329 02:39:36 - - Warning: Soundfile vehicles\MB_O530_Facelift\sound-citaro\Ticket_Fahrkarte.wav does not exist! 331 02:42:16 - - Warning: Did not find texture file "dummy_text.bmp"! 333 02:42:17 - - Warning: Did not find texture file "dummy_text.bmp"! 334 02:42:17 - - Warning: Did not find texture file "str_asphdrk_mark2_alp"! 389 02:46:35 - - Warning: Soundfile vehicles\MB_O530_Facelift\sound-citaro\Ticket_Geld.wav does not exist! 655 02:47:22 - - Error: In "Sceneryobjects\YufaObjekte\Depot\pforte2.sco" there was an error in line 11! 657 02:47:22 - - Error: In "Sceneryobjects\YufaObjekte\Depot\pforte2.sco" there was an error in line 14! 658 02:47:22 - - Warning: Invalid Object: Sceneryobjects\YufaObjekte\Depot\pforte2.sco"
660 02:47:22 - - Error: Could not load object Sceneryobjects\YufaObjekte\Depot\pforte2.sco! 766 02:48:01 - - Error: In "Sceneryobjects\YufaObjekte\Depot\werk.sco" there was an error in line 11! 768 02:48:01 - - Error: In "Sceneryobjects\YufaObjekte\Depot\werk.sco" there was an error in line 14! 769 02:48:01 - - Warning: Invalid Object: Sceneryobjects\YufaObjekte\Depot\werk.sco"
771 02:48:01 - - Error: Could not load object Sceneryobjects\YufaObjekte\Depot\werk.sco! 786 02:57:17 - - Warning: File Sceneryobjects\Objects_SN\Zaun_Tor_6m_02.sco: texture filename tex_a.bmp not found in mesh file Sceneryobjects\Objects_SN\model\Tor_6m_02.o3d! 797 02:59:19 - - Warning: File Sceneryobjects\BusdriversObjekte\Autobahngeradeausge.sco: texture filename textfeld.bmp not found in mesh file Sceneryobjects\BusdriversObjekte\model\Autobahnschildgeradeausge.o3d! 798 02:59:19 - - Warning: File Sceneryobjects\BusdriversObjekte\Autobahngeradeausge.sco: texture filename textfeld.bmp not found in mesh file Sceneryobjects\BusdriversObjekte\model\Autobahnschildgeradeausge.o3d! 809 03:03:09 - - Warning: Did not find texture file "_auto_4.jpg"! 810 03:03:09 - - Warning: Did not find texture file "_auto_12.jpg"! 815 03:05:06 - - Warning: Did not find texture file "Metall_Galvanisiert.dds"! 817 03:05:06 - - Warning: Did not find texture file "dummy_text.bmp"! 818 03:05:07 - - Warning: Did not find texture file "dummy_text.bmp"! 829 03:11:30 - - Warning: Did not find texture file "texture_35.jpg"! 830 03:11:30 - - Warning: Did not find texture file "texture_24.jpg"! 836 03:12:50 - - Warning: Did not find texture file "a"! 837 03:12:50 - - Warning: Did not find texture file "a"! 838 03:12:50 - - Error: In map file "maps\Städtedreieck_V3\tile_20_2.map" there was an error in line 30259! 847 03:14:22 - - Error: In map file "maps\Städtedreieck_V3\tile_20_2.map" there was an error in line 30259! 849 03:14:56 - - Error: In map file "maps\Städtedreieck_V3\tile_20_2.map" there was an error in line 30259! 853 03:15:37 - - Error: In map file "maps\Städtedreieck_V3\tile_20_2.map" there was an error in line 30259! 861 03:20:43 - - Error: In map file "maps\Städtedreieck_V3\tile_20_2.map" there was an error in line 30259! 862 03:21:07 - - Error: In map file "maps\Städtedreieck_V3\tile_20_2.map" there was an error in line 30259! 863 03:21:44 - - Error: In map file "maps\Städtedreieck_V3\tile_20_2.map" there was an error in line 30259! 866 03:21:53 - - Error: In map file "maps\Städtedreieck_V3\tile_20_2.map" there was an error in line 30259! 872 03:22:11 - - Information: Actual map closed! Edited once, last by Rumpel ( Apr 9th 2019 ). Dir scheint die O3D-Datei model\pforte.o3d zu fehlen. Bitte mal neu installieren Link zur Webdisk. Edited 2 times, last by fOcUs04 ( Apr 9th 2019 ). Another Small Issue I've Had. Was With A Couple Of Unlisted Routes That Are Not Mentioned On The Map. On The Monday - Friday Shifts. Weiß jemand, welche Textur mir fehlt? Das dürften die Creativ Streets sein, eine neuinstallstion dieser sollte das Problem lösen. An der Haltestelle "Magdalenenplatz" von der Linie 27 kommt die Ansage "Magdalenenpark". Gewollt? Nö und sollte eigentlich auch nicht. Grade Ansage nochmal angehört. Da wird Platz angesagt. Im Ordner Ans_Städtedreieck gibt es die Datei Magdalenenpl..wav. Da ist schon Magdalenenpark zu hören. Ich habe einen Ordner namens "Ans_Städtedreieck", dort gibt es eine Ansage namens Magdalenenpark und eine namens Magdalenenpl. Bei Magdalenenpl. wird auch platz angesagt. Bei Park wird park angesagt. Leider war das im Download von gestern nicht so. Im Ordner "Ans_Städtedreieck" nur die Datei "Magdalenenpl..wav" drin. Im Ordner "Ans_Städtedreieck_B" sind die tatsächlich beide drin. Wenn ich die Datei "Magdalenenpl..wav" abspielen lasse höre ich deutlich park statt platz. Ladet bitte die Karte selber mal runter, ich glaube das da noch etwas nicht stimmt in diesen beiden Ördner. Das Depot-Set ist wurde zweimal installiert. Das AddOn-Packet wurde zweimal installiert. Ich habe herausgefunden, dass man das Depot-Set von Yufa installieren soll oder das AddOn-Packet noch einmal. Das habe ich beides gemacht, was aber zu keinem Erfolg führte. Falls mir jemand helfen könnte, wäre ich sehr dankbar. Hätten Sie auch nur ansatzweise meinen Beitrag gelesen, wüssten Sie, dass ich dies bereits installiert habe. Mir fehlen nur komischerweise dennoch Objekte von Yufas Depotset. Das ist ja das, was mich so irritiert. Er wollte dir behilflich sein und hat es gut gemeint. Deine Antwort ist nicht angemessen. Wenn du gerne Hilfe möchtest, empfehle ich dir, etwas netter und höflicher zu sein. Bedenke bitte, dass dieses Forum eine freiwillige Zusatzleistung darstellt und hier niemand zu irgendetwas verpflichtet ist. Ich möchte das auch nur anmerken - und nicht weiter ausdiskutieren! Schau al ob alle gezeigten Dateien an genau den Orten installiert sind die du in deinen Post geschrieben ast. Das ist bei dem Depot-set meistens das Problem. Gut, pforte2.sco und werk.sco konnte ich nun in diesen Pfad hineinkopieren, aber die Datei pforte.sco finde ich im ganzen Ordner nicht. EDIT: Ich habe z.B. im Sceneryobject-Ordner von Express 91.06 die Datei pforte.sco von YufaObjekte gefunden. Könnte ich diese dort einfach hineinkopieren? Edited once, last by VictorSascha2514 ( Tuesday, 8:12 pm ).